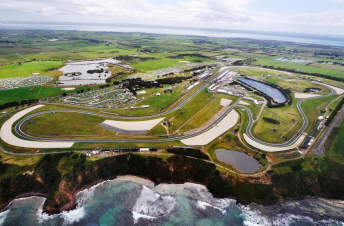 The Australian Auto Sport Alliance is currently in discussions with Phillip Island regarding the prospect of hosting events at the Victorian circuit. Traditionally events at Phillip Island have required CAMS sanctioning, though Benalla Auto Club (BAC) CEO Chris Lewis-Williams is hopeful that may change in the near future. Owned by BAC, the AASA operates the Australian Motor Racing Series which is a market rival to CAMS’ Shannons Nationals. “We’ve been chatting to Phillip Island for a long time, but we are closer than ever for them accepting our permits,” Lewis-Williams told Speedcafe.com. 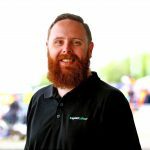 “We’ve been working with some partners that wanted their events permitted by AASA, and we tried various ways over the journey to just get PIOPS (Phillip Island Operations) to accept that our permits are okay and for whatever reason, be that historical of political, we just haven’t been able to do that. Lewis-Williams believes once AASA permits are accepted it will pave the way for a number of events to be run at the circuit. “Once the floodgates open I would envisage that there would be between 50 and 70 permits there for us, by the time you start doing corporate track days, driver training days.” he explained. “Our biggest revenue stream for the AASA is the test/tune/corporate days market; all that midweek stuff. “That’s where the AASA generates the majority of our revenue from because there’s just so many days. It’s suggested one of those events could be a round of the 2019 AMRS season with dates in March and July understood to be on the table. “It is on our wish list,” Lewis-Williams admitted when asked about running a round of the AMRS at Phillip Island next year. “Look, it’s a process and there’s some other things to tick off before we can say that (we will have an event there). “It’s nice of us to want to go there but we’ve got to get through the insurance hurdles first and make sure that they’re comfortable and the Fox family business is comfortable because ultimately it’s their asset and we’ve got to protect them as the track owner. “I guess that’s one of the benefits from us owning Winton and Wakefield is that we’re a track owner,” he added. “We understand it from a track owners’ point of view. We don’t want to put our assets at risk, and that’s the way our insurance packages are structured.